There has been so much hoopla in the past year or so about space. 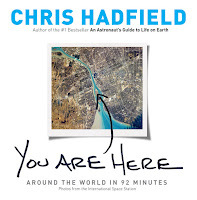 Chris Hadfield made astronauts seem like as popular as rock stars. Hey, he even sang in space. Richard Branson’s Virgin Air has made it possible for “ordinary” people to go into space. I have heard a lot about blood moons, lunar eclipses and of course Mars. There has long been a fascination about the red plant and these books prove it. Martian Chronicles is a 1950 science fiction short story collection by Ray Bradbury. It chronicles the colonization of Mars and the conflict between the aboriginal Martians and the new colonists. Bradbury took Edgar Rice Burrough’s of John Carter of Mars series and Harold Foster’s Tarzan cartoons as inspiration. I always found it interesting how forward thinking Bradbury was. In the short story, --And the Moon Be Still as Bright.” a character states “we Earth Men have a talent for ruining big, beautiful things” in response to another character’s polluting the environment. This novel has been made into an opera, adapted for radio, television and even graphic novel. What I found interesting is that it has not been made into a movie, except in Russia! Orson Wells and The Mercury Theatre are famous for the “night that panicked America” when broadcasting a radio drama of H.G. Well’s War of the Worlds. The novel was serialized in 1887 and the hardcover edition published in 1889 by William Heinemann. It is one of the earliest stories of man versus extraterrestrials. it has gone on to inspire countless works from movies, radio drama, a record album (which I love), comic books, television, etc. It even inspired Robert Goddard to invent a liquid fueled rocket and multistage rocket, which helped Apollo 11’s moon landing!. Martian War: a Thrilling Eyewitness Account of the Recent Invasion as Reported by H.G. Wells by Kevin J. Anderson (under the pseudonym Gabriel Mesta) uses many of the themes in The War of the Worlds. But what if the events were not Well’s imagination! Wells in the main character in this novel, who along with his fiancée Jane, Thomas Huxley and Percival Lowell, witness the Martian attack. By combining fictional and historical people, Anderson’s version brings a bit of believability to the tale – or at least for the conspiracy people. He also injects other Well’s characters, such as Doctor Moreau from The Island of Doctor Moreau. All in all, the novel is wonderful Steampunk novel going at full force.